The day has finally arrived that I make my triumphant return to SixPrizes.com. The season is winding down, and the readership is beginning to look forward to Nationals and Worlds. But before XY Flashfire hits, we have one more weekend of Regionals to tackle, and any number of League Challenges. This article comes at a somewhat difficult time. Most people are finished their Regional Championships, but hopefully enough of the populace can find this article to be useful in some way. States and Regionals have come and gone since I last wrote for the site. Today I’ll recap what I have played and done well with in all four events I’ve attended that include XY. No theory today – it’s far too late in this format for that. With only a couple tournaments left before Flashfire, I don’t feel like introducing new ideas for the current format would be good for anyone. Okay, first, let’s take a trip back in time. It’s the second week of States, mid-March, and the world is still frozen. It feels as though an entire season has come and gone since. I had just barely missed cut in Rhode Island with Yveltal/Garbodor. I played a list almost identical to that of my Complaint Box allies, SixPrizes’ own Ray Cipoletti and Chris Murray (who doesn’t belong to SixPrizes, but is equally cool). Chris ended up winning the event, felling a fellow side of the Box, Jon Bristow, in the finals. Instead of giving the list I played in Rhode Island for the first week of States for completion’s sake, I’ll give what I would have played for Regionals had I decided on Yveltal. 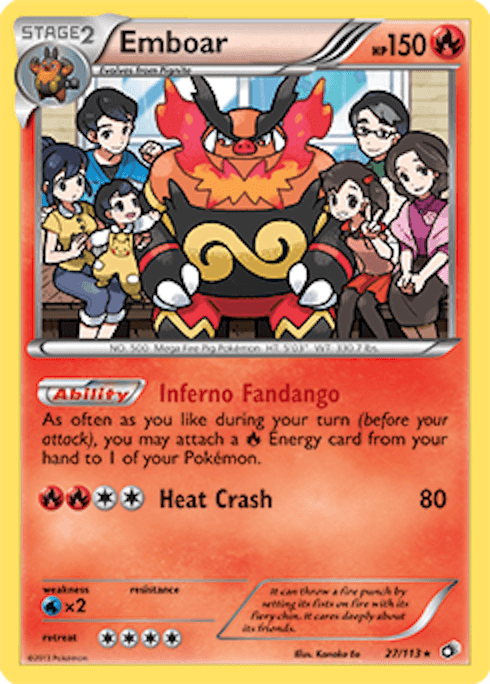 If I were to play it now, I feel like it would need 4 Double Colorless Energies to keep up with opposing Yveltal decks. Sawk PLB is much less necessary now than it was when people believed Plasma was top tier as well. My list is significantly altered from that which I ran in R.I., and I’m not looking back. Onto the second week. At this point I decided there wasn’t a need for Garbodor at New Hampshire States. Most of even the best New England players don’t have access to Beach, Blastoise was negligible week one, and nobody would dare play it the week after the Complaint Box took the Ocean State with Yveltal/Garbodor. I was sitting in my college dorm room, Yveltal sprawled out in front of me, just thinking about life and the cosmos. Two Garbodor lines were chilling outside sleeves a couple inches away. I was lamenting Garb’s misfortune; he just wasn’t needed anymore. Nobody saw a need to counter the least played archetype in the format, what at that time was Blastoise. Then it hit me. Garbodor didn’t pull his weight for anyone at the tournament in Rhode Island, not just me. 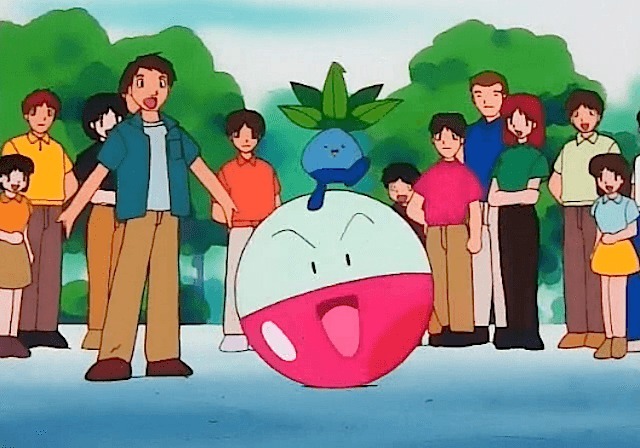 Garbodor was literally useless that weekend, and everyone knew it. Assuming every other decent Garbodor player was going to follow the same reasoning and take him out, I decided to rebuild Blastoise and go to bed. Sorry Garb’. The next day I decide to keep my deck choice on the down-low. Nobody expected Blastoise, and I wanted to keep it that way. Chris Murray and I decided right before the event that it was best if I just go all in. I took out my Tool Scrappers altogether based on the reasoning that if Garbodor was going to be popular, I shouldn’t have been playing Blastoise in the first place. So the Scrappers came out for an Electrode line, which I fully support and could never live without. It’s much better in practice than on paper. Not only does it do the job of Exeggcute PLF by adding cards to the hand when you don’t have enough to discard with Superior Energy Retrieval, Dowsing Machine, and Ultra Ball, but it also helps you out of Supporter droughts and late game N drops. By the second round, I realized how solid my choice was. There were only two Garbodor decks in the room and Electrode was doing work. Does Electrode even lift, brah? Let me tell you, he does more than just lift. In fact, he carries. I went through the tournament undefeated, beating several of my teammates, most of whom were playing Yveltal/Bouffalant. Jon ran a curious Plasma list with Umbreon, which he wrote about in his article. He seems to think he would have beaten me in the finals, but I’d contest that. Although it wasn’t Garbodor, I underestimated how difficult the Yveltal matchup would be for the deck that can pump out 200 damage as early as turn two. 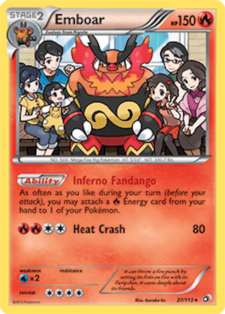 With 4 Catcher and 4 Double Colorless, Yveltal and the buffalo can keep up without much trouble as long as the Yveltal deck can get some damage on the field before the Blastoise pain train departs the station. At a crucial moment, my finals opponent missed three consecutive Catcher flips to lose the game. Granted, although I whiffed enough sleep and Catcher flips of my own to make up for that terrible luck, it shows how close games with Blastoise can come. My Top 8 game against Chris was on a flip as well. When both decks are piloted well, Yveltal’s speed can easily match what Blastoise has in strength. Although I won the tournament, I’m not sure Blastoise is going to be a good play in the future. As more people started to figure out the most efficient way to play Yveltal against Blastoise, the list I ran only got weaker. I feel like Blastoise lists are a staple in my articles. Best I not break the streak here. For the last State in Massachusetts, I grudgingly decided on playing a Yveltal list similar to what I had beat in the finals the week before. It is almost identical to the first deck I showed you guys in this article. I correctly assumed Blastoise was going to be a non-issue. Although the matchup is closer than I expected it to be, it’s still uncomfortably difficult for Yveltal. I was thrown off by the three teammates of mine that decided on Virizion/Genesect. Although I tested the matchup to be favorable for Yveltal, my teammates (who sometimes work in subgroups when they plan for local events) had clearly done some testing of their own, making the deck much more efficient. Genesect was the clear play for that day, and Chris Murray (the architect of that list, and the list that I would go on to play at New England Regionals) absolutely deserved his win. I fought several uphill battles against the superior Genesect list that day, taking one to a close loss. Three members of my team live in central Massachusetts. Ray and I live in Southern New Hampshire, and Jon lives in Washington D.C. while he is in college. This year I have been pretty far removed from my group, often leading me to work against them for my own benefit, and vice versa. Earlier this year I metagamed them all to win the one City I played in; this time I got bodied by my own teammates who had been playing Genesect without my knowledge. 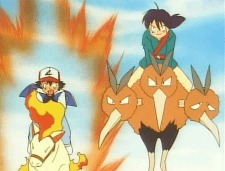 Pokémon is at heart, an individual sport. Playing as a team doesn’t always give you the best result. 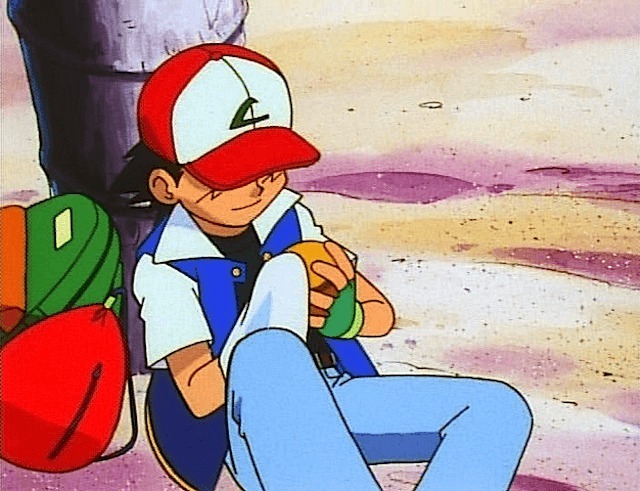 Knowing when to deviate from your friends while still benefiting the group as a whole is the key to keeping a team together in Pokémon. Anyway, what killed me about my deck choice that day was how tough it was to even make it that far in the Genesect matchup. I had to get lucky to even take it to Game 3, let alone win it. At that point, the deck just felt like it outclassed Yveltal, at least the way my friends were playing it. It didn’t matter much. I finished 16th, about the middle of the pack. I didn’t have much success that day, but it gave me a pretty good idea of what I wanted to play in Regionals after seeing the raw power of Genesect-EX in action. This tournament was a big deal for me. Not only had I won the title the previous year, my hopes for a Worlds invite were basically on the line. I had no shot at getting an invite before Nationals anyway. I would have had to win the next two Regionals (neither of which I planned on attending, making this purely hypothetical). However, if I were to make Top 4, I could get an invite from Top 16 at Nationals, instead of having to make the Top 8. That was a large enough deal for me to take New England Regionals seriously. To test my Genesect deck, I played a ton of games on Pokémon TCG Online. I don’t like to test on PlayTCG (it’s too much work). In all seriousness, I can get through many more games much faster on the official simulator, even if they aren’t against top quality players (most people are not the best of the best, so I think testing against every skill level of player is actually more important than people give credit for). 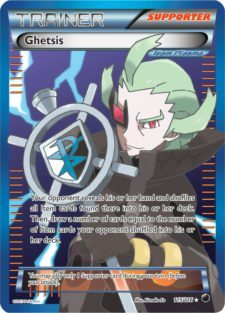 When playing on PTCGO at the right time of day (around 9 PM, Eastern Time – 21:00 EST for all of you outside of the United States), I can usually get a game against a popular archetype around 40% of the time. I think player quality really depends on when you play. More good players from the US tend to be on in the evening, and there are plenty of good Europeans who play late into the night at that time as well. I believe that Virizion/Genesect is the best deck in the format right now. It also has an extremely high skill curve. I mentioned playing on PTCGO a lot, and I honestly think playing so many games against average opponents has helped me catch up to my teammates in regards to skill. Now I think is a good moment for me to reiterate what I’m beginning to realize about the official simulator that most people fail to see: it allows you to play a lot of games in a short amount of time. Most people would counter with an obvious argument: quantity isn’t better than quality. Normally, I’d agree with them. But when you’re trying to learn how to play your side of the board most efficiently, playing against random decks isn’t a bad thing at all. Don’t just rush through your opponent’s hoard of Growlithe so you can move onto the next game faster; nobody gets anything out of a game like that. You can still benefit from beating a theme deck. Use these games to practice playing efficiently, making the correct Energy drops, and conserving your resources as though the other player might be holding Yveltal, DCE, and Dark Patch to answer Genesect. It is possible to actually learn something from these opponents. I cannot stress this enough. The key to succeeding with Virizion/Genesect is efficient play, and believe it or not, PTCGO helped me make a huge jump in skill level with this deck. Before Regionals, I had never used Virizion/Genesect in a tournament and I knew I had a long way to go. After playing over 100 games with Virizion/Genesect online, I can (proudly?) say I have a win ratio of over 95%. Hooray? Don’t get too excited. If you’ve ever played PTCGO you probably have a pretty good idea of the kind of decks I was facing throughout the run. Although winning on the official simulator isn’t all that satisfying, it helps me improve my efficiency and even more importantly, my playing speed. Judges can only do so much. I’ve only unintentionally tied two times this season. While the community is up in arms over draws, I’m quite content. All I can say is, if you’re being stalled out, there might be nothing you can do. But that doesn’t mean you should sit passively and let your opponent cheat all over you. The majority of the time (as people erroneously seem to believe) a judge will not help you deal with a stalling opponent, especially in the Masters Division. Oftentimes this is because the other player simply speeds up when the judge is called over, only to slow back down when the judge is beckoned for other duties. This is neither your own fault nor the fault of the judging staff. This is a natural problem of scarcity, which currently there is no clear answer to. Let me just clarify… I’m not devaluing judges or their ability to make calls. But time is a factor independent from the board-state. It’s fundamentally impossible for a judge to make a ruling or grant an extension on what they cannot observe, or anything that came to pass before the judge came over. A player who is intentionally stalling will just speed up their play and they will also know that they’ve gotten under your skin the moment you call a judge on their pace. Depriving them of this confidence boost is often more valuable than the judge’s presence in my opinion, but I’ll let you make decisions like that on your own, at the table. So as soon as you win a game, speed up. Some people seem to feel like they shouldn’t be obliged to rush themselves to avoid tying, but the sad fact is that ties are a reality of the game, and they seem to be here to stay. Playing your entire game to avoid a tie is a necessity to succeed in this tournament structure. Time is, has, and always will be, an integral part of the Pokémon Trading Card Game. Finally, another word about PTCGO. Its automated nature helps get through games quickly, but it also lets you go through the motions of many games and play out many different setup scenarios on your side of the field. In turn, grinding on PTCGO is a great way to not only play more efficiently, but also to play faster. As you play more, certain moves become more natural. They less thinking plays require online, the faster you will be able to play in real life. Harmonious in the right scenario. This is the list I played for Regionals. Right before the event, some of my teammates (who know the deck better than I) took out the Ghetsis, which is perhaps the most unusual card in the list, although it certainly paid off for me this tournament. I almost don’t even consider Ghetsis a Supporter. When looking at my list, I considered my Supporter count without Ghetsis. Even without the Ghetsis, I wasn’t uncomfortable with my count. My point is, Ghetsis isn’t as reliable as the other Supporters in this deck. Its primary use is to limit the options of Blastoise and Rayboar early and late game and make G Booster less accessible to Virizion/Genesect at crucial moments. It also prevents Tool Scrapper from immediately answering your G Booster, possibly allowing you to keep it on the field for two turns and as you’ll soon find, two G Booster attacks often wins you the game outright, making Ghetsis an incredibly valuable safeguard against many popular archetypes. Two Ghetsis is a bit unusual, especially since it’s such a situational card. You can’t search for it with Skyla without giving away the element of surprise, so you have to draw it. Sounds a little unreliable, no? True story, it is unreliable, but when you have it and you can play it, you’ll profit. That probably sounds like pretty poor reasoning for a SixPrizes Underground article, but allow me to explain. Ghetsis isn’t like another Supporter. It’s not like Juniper – you don’t always want to play it as soon as you get it. With Ghetsis, you have to hold it until you need it. How do you define “needing it,” you ask? When you drop a G Booster and need some insurance against Tool Scrapper, the turn after Blastoise Tropical Beaches (they could have anything! ), or the turn when you wipe their main attacker off the board (you have to make sure they can’t come back!). Ghetsis is an odd basket of situational goodness and general utility. Playing it is never a bad thing, but gauging when it will yield the most profit is a skill you have to learn to play this variant of Virizion/Genesect well. This is part of the reason Ghetsis is so unpopular. Ghetsis was stigmatized from his beginning. People would drop it rashly, leading them to draw a mediocre amount of cards with minimal impact on the opponent’s side of the table. What about Sigilyph? 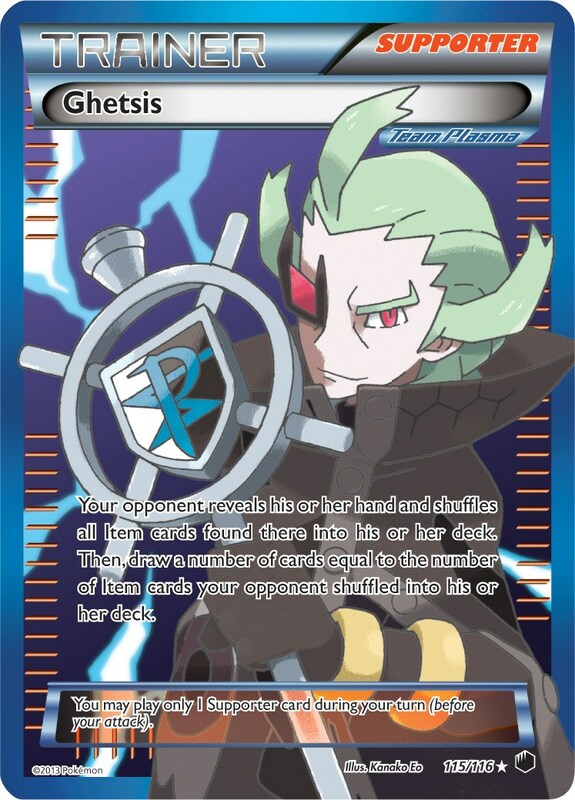 Well, this card is probably even harder to explain than Ghetsis. In this fast-paced metagame, the deck needed a way to hold off EXs on the occasional turn where the deck needs to recover some Energy of draw into a certain sequence of cards. More than once I hid behind Sigilyph while I dug for a Plasma Energy or a G Booster. It certainly doesn’t hurt to start with. Unlike Suicune PLB, Sigilyph is assisted by Skyarrow Bridge. You can literally throw Sigilyph Active whenever you need to because it is the only non-EX in the deck. The idea for Sigilyph came from the brilliant mind of Chris Murray. The deck needed a non-EX, and the only other options would have been Tropius PLB or Bouffalant DRX. The buffalo didn’t really fit without DCE, and without Hypnotoxic Laser, Gold Breaker doesn’t really hit any valuable numbers for OHKOs. Tropius is a card we considered using to better deal with Yveltal for a minimal investment (and yes, we understand that we will never OHKO a Yveltal with Tropius). Although passive cards are typically pretty useless in Pokémon TCG, Sigilyph is a non-EX that requires absolutely no investment to cover a traditional weakness of the deck. Playing it just made sense. Helps nab G Booster on demand. Jirachi-EX is the final card most people would question. Starting with it kills. I’m not going to lie: I have lost more than one game because Jirachi was just chilling on my Bench all game, being the freeloader that we all know he is. 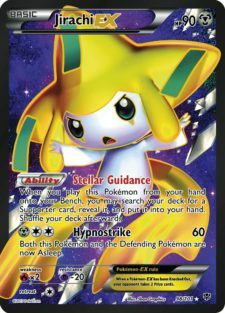 The best two-out-of-three format mitigates this problem to a degree, but in a deck with so few Basic Pokémon as it is, Jirachi’s presence can be an issue. The upsides to the wishing star far outweigh the cons. Without a doubt, the most important thing this deck will do on the first turn, and perhaps all game, is attach an Energy. Without a crucial Energy drop turn one, Virizion/Genesect can easily fall behind. Emerald Slash only becomes possible turn three or later the instant you pass without an Energy drop. Ultra Ball into a Jirachi to Stellar Guidance for Skyla into a Professor’s Letter is something I’m ashamed to admit I’ve done more than once, and frankly it’s surprising that it takes a chain of four cards just to get an Energy at times. But with this deck, success is all about consistency. More often than not, you want to get the guaranteed drop. Getting N with Stellar Guidance on the first turn might be tempting, but I wouldn’t recommend it unless you have absolutely no other follow up play on turn two. This deck occasionally struggles with getting G Booster on demand. Ultra Balls and Jirachi itself open up five total outs to a Skyla for G Booster mid game, which is huge. You can do similar things with Shadow Triad, which lets you get either G Booster or Plasma Energy, both of which are common outs I use to win the game. Jirachi-EX adds a great deal of versatility to a deck that often wants to ride G Booster to victory. Surprisingly few people seem to have caught on to this. Electrode has seen some play in a similar role as of late, but I don’t think it plays very well with one of the main themes of the deck, that is, consistency. Jirachi’s primary role is to make Ultra Ball a way to access G Booster, but its ability to get any Supporter at any moment in the game makes it an invaluable. Town Map never really caught on as a stable card in Virizion/Genesect decks, but I think it’s a necessity in this format. In a time where players can stack Energy on a Yveltal-EX and do more damage than Black Ballista, having consistent access to G Booster as an answer is required to sway the Yveltal matchup in your favor. I ended up going 4-3-0, dropping after the 7th round. I decided not to play out the final round because I would rather spend that little bit of extra time with my friends. My losses were to two Genesect decks and Rayboar. All of the games were close. The Rayboar game came down to the final turn of Game 3, proving that even though Reshiram is a huge threat, the Rayboar matchup is far from an auto-loss. The games against Virizion/Genesect mirror were incredibly tight as well. Both were decided by what my opponents were able to draw. All three games I had the win in my hand for the following turn. I think Complaint Box Virizion/Genesect is so strong because it can so easily control the game and retrieve the cards it needs to win. This deck is tweaked to perfection. No other deck offers so many reliable ways to win the game. This deck takes the power of Black Kyurem-EX, the acceleration of Dark Patch, and the benefits of Plasma Energy, combining them into what I believe is the best and most versatile deck in the format. This is a deck that I’ve played extensively (before it was cool! ), but it is actually enjoying a fair amount of hype now. This deck is more than just Virizion/Genesect with a tech line of Raichu. It plays like the original Virizion/Genesect decks, with a major focus on getting off a turn two Emerald Slash as frequently as possible. While the version of Virizion/Genesect that I played in Regionals focuses on playing a more controlling game, this version tries to play a numbers game. This Virizion/Genesect variant focuses less on using G Booster and Plasma Energies to control threats on the board and more on taking six Prizes as quickly as possible. It’s a bit more forgiving by way of Energy placement and Supporter drops as well. Virizion/Genesect with Raichu is definitely a strong choice for both new players and Juniors. I believe that a well-played Virizion/Genesect deck blows everything else out of the water as long as there is enough Garbodor around the metagame to keep Emboar at bay. This version is much more straightforward and easier to play than my Regionals list. However, the only time I think it is the superior version is in a very Yveltal or Plasma heavy metagame. Believe it or not, Raichu actually has somewhat limited use. With perfect play, G Booster does just as good of a job countering Yveltal as Raichu does. Generally, Raichu and a full Bench won’t be acquired until mid to late game. 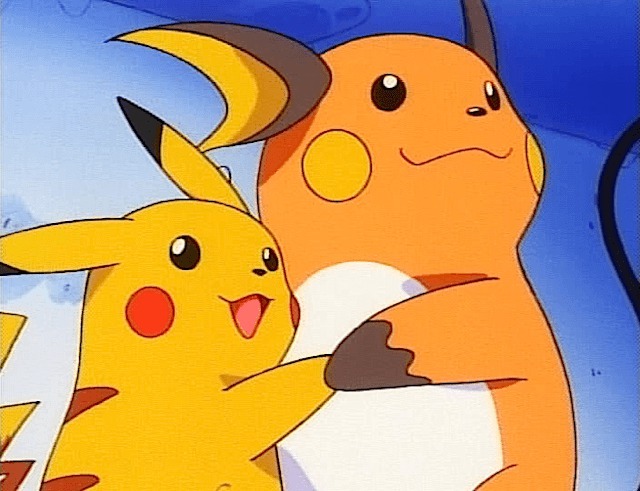 The fact that Raichu isn’t truly an all-purpose, all-day everyday type counter is a bit off-putting to me, especially since Raichu is a relatively large investment in the deck, both to get onto the field and to find space in the list to play. In a metagame with a lot of Yveltal, this is a strong play. The Regionals metagame is always unpredictable, and for that reason I’m not sure I would be confident enough to make such a deck choice. However, this deck is similar enough to normal Virizion/Genesect to be a safe play regardless. I’ve always enjoyed mashing archetypes with counters to the metagame. I’m not the type to have a lot of confidence in rogue decks, but the Virizion/Genesect half is typical enough to guarantee at least some kind of success. Ray’s 170 HP is a turnoff. I really blew this one. Rayboar was the obvious play at New England Regionals. Everyone and their mother was on Virizion/Genesect, so many people in fact, that I ran into four of them over the course of the day. I usually expect other good players to follow my course of reasoning, so if I’m expecting an underplayed deck to be good the next weekend, I’ll always expect there to be plenty of mirror matches to play as well. If I think that deck is a super obvious play, it’s easy to stay one step ahead of the metagame… in the exact same way I could have ran Rayboar to get ahead of the mass of Virizion/Genesect decks that descended on New England two weeks ago. But making that call sometimes requires an amount of bravery which I’m ashamed to say I don’t always have. My problem with Rayboar was how it tends to take random loses that Blastoise does not. It sometimes runs out of resources or has to overinvest in its early game. Setting up is the biggest struggle Rayboar faces, but once you pass that point, things usually go alright. In best two-of-three the problems are mitigated if you play quickly enough, but there is one other reason that put me off from running this list. 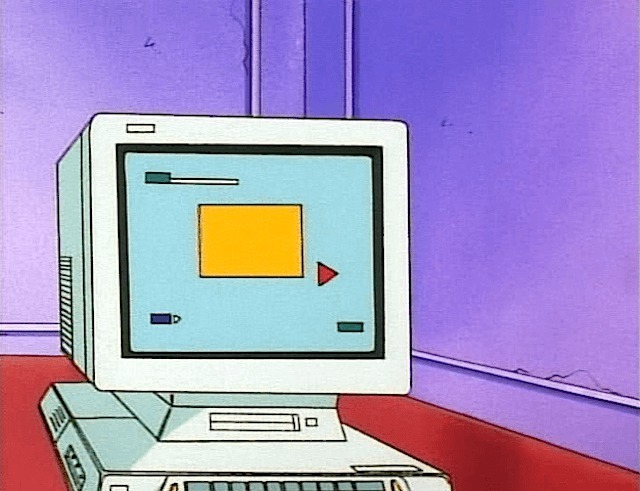 That reason, is Rayquaza’s HP. 170 HP Pokémon get the short end of the stick way too often now. Gold Breaker can OHKO Rayquaza-EX but never Black Kyurem-EX. Y Cyclone, Muscle Band, and two rounds of Virbank Poison does it too. It’s the same way with Night Spear damage. It only takes three Deoxys and a Muscle Band to OHKO a Rayquaza-EX with Lugia-EX’s Plasma Gale, compared to the four Deoxys Lugia needs to drop a Black Kyurem. So many combinations of damage can set up a knockout on a Rayquaza that fall just short of taking down Black Kyurem in a single shot. This slight difference in HP is what really broke Rayboar for me. Some players are cutting things like Reshiram and Rayquaza, but I feel as though one or the other is still necessary. Delphox mitigates the need for a Fire-type attacker, but Rayboar needs to play things that set its matchups apart from those of Blastoise, otherwise Blastoise becomes the clear cut logical choice. Blastoise is obviously the better deck out of the two, but variables in the metagame are making Rayboar seem more and more attractive as of late. A jump in the popularity of Grass types was the factor that put its playability over the top. Although the deck has some issues, it would have been a fantastic play in the New England metagame. It’s tight though. If there is a need to play Tool Scrapper, I would avoid Rayboar altogether. Although the NXD-XY format is coming to a close, I’m sure my experience in this format can be put to some use. As invites begin coming to fruition, interest in the game tends to wane for some. I encourage you all to keep moving toward success at Regionals and Nationals. The last major events of the season are approaching for many of us, and even if you won’t be a Worlds competitor, successes at Regs and Nats are no less significant. Nothing in this game is impossible to achieve. I will be going to US Nationals and I’m still undecided about attending Worlds or not. Although my season is over until then, I’m very excited to be going to Nationals, even more so than any other year. Deciding to not play for an invite this year is one of the best decisions I’ve ever made for myself. I realize playing for an invite was what was tying me down all these years, frustrating me, and taking over my life, although I’m not implying that playing for a Worlds invite isn’t an incredibly rewarding experience and a monumental accomplishment, especially for all the devoted players who already have theirs. Taking a breather from the competitive scene was something I truly needed to feel better about my involvement in the game. I’ve never felt more satisfied about my place within the game than I do now. If you aren’t happy with the game, the format, or the tournament structure, I recommend giving it a rest. 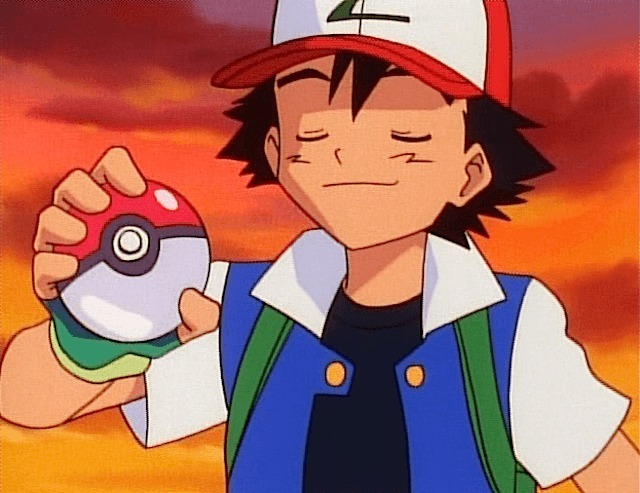 Stepping back from the game gives you a remarkably different outlook on Pokémon and on life. Hopefully this article gave you some new perspective on the game of Pokémon and the current format. Writing at the end of a cycle is difficult, but hopefully I could deliver some content you guys can enjoy. As always, feel free to contact me, online or in real life, for feedback or advice. I wish you the best of luck in all future endeavors. Leaving a “Like” or comment would be greatly appreciated.